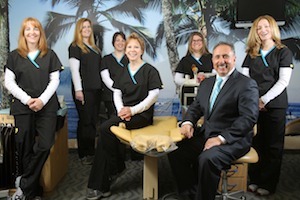 We are especially interested in making all our patients feel right at home! We put your needs first to achieve efficient and comprehensive treatment. 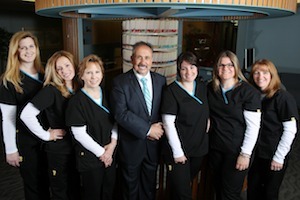 Our orthodontic team consists of highly skilled and professionally trained individuals. From the moment you walk into our practice, we are committed to providing you with the most personalized care. We will strive to make your experience with our office an enjoyable and rewarding one. Our staff exemplifies teamwork, professionalism and excellence. We strive to stay abreast of the very latest in technology and advances by regularly attending continuing education courses and seminars. We are always excited about meeting new patients during their first visit to our office. And we want you to be excited too! 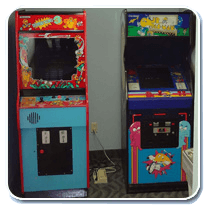 For our younger visitors we feature a great games area with classic games like Millipede and Donkey Kong. Our adult patrons may join the kids in the game room, or during their visit, enjoy television available in both bay areas. Your initial appointment will consist of a thorough examination and a discussion of potential treatment options. This 35-minute visit will give you insight into your orthodontic needs. We know your time is valuable, so to expedite treatment, we may also reserve time following the exam for diagnostic records. The records include x-rays, photos, and impressions for study models, and are necessary for developing the appropriate treatment plan. This additional appointment will last approximately 45 minutes. During this initial examination for each patient, Dr. Sarkis Euksuzian will address the following questions that cover the basics of orthodontic treatment. We encourage you to ask questions as well. While Dr. Sarkis Euksuzian can often answer these general questions about treatment during the initial examination, he will address specific areas after careful analysis of the diagnostic records. 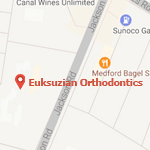 Dr. Sarkis Euksuzian feels it is important to analyze each patient’s specific needs, because in-depth planning leads to superior results and higher patient satisfaction. 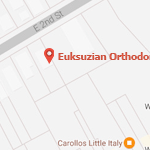 We will then schedule a consultation visit at which time Dr. Sarkis Euksuzian will discuss treatment options, time frames, and financial arrangements. We insist that our patients leave the office with a clear understanding of their specific needs, what the treatment will consist of, and how long it will take. Also, we will answer any additional questions.